Don’t worry! The apocalypse has not come! Yes Nicholas Parsons missed an episode of Just A Minute, and yes we missed Fresh Goods Friday last week, but The Today Programme is still going, so all is well. And all is better still, as we’re back this week – last week was a bit of an unplanned hiatus thanks to Mark’s flights back from Gibraltar becoming a bus replacement service, and the rest of the gang being on holiday, or on holiday working in Fort William. Without further ado, let us proceed. Fresh Goods Friday 399…ooh…it’s a birthday edition next week! That’s a bag on the trail, not a reflector. 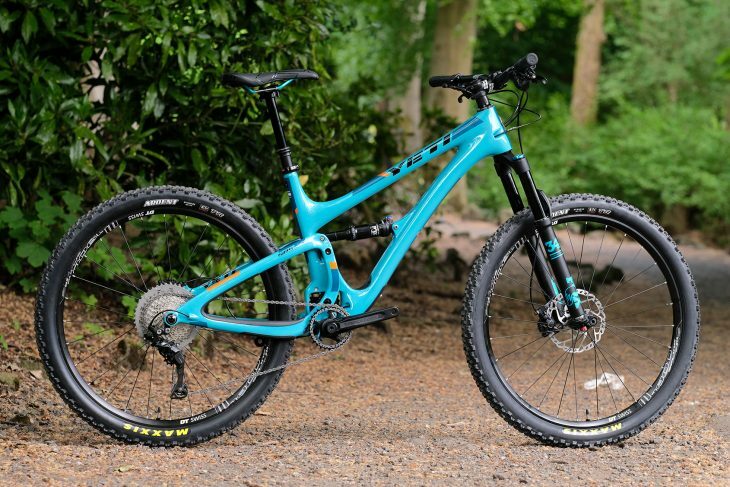 150mm fork and 127mm rear, 27.5in wheels dressed with Fox Transfer dropper post and Shimano XT and SLX groupset – this is a full carbon fibre frame from Yeti. 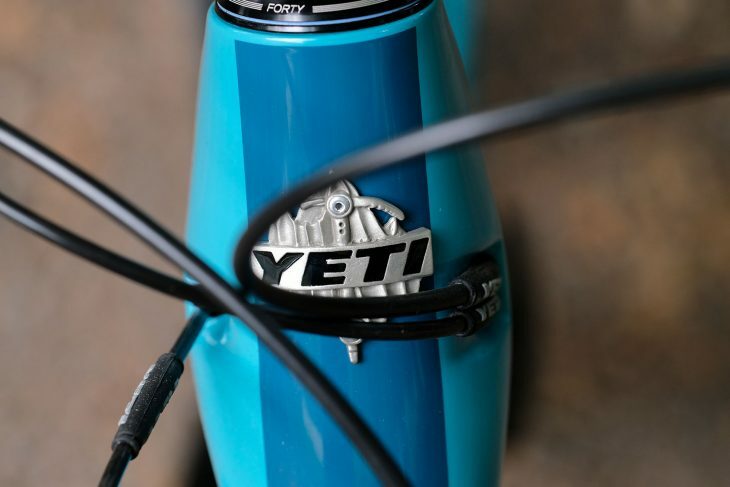 Designed for trail riding both up and down mountains, it uses Yeti’s Switch Infinity suspension platform. There has been much amusing conversation in the office as Ross has tried to explain this, so you might be best just as well checking out the explanation here. This pose is rather ‘come hither in the heather’. Chipps recently went to visit Madison for a bit of a catch up and a ride. Before they set off, he was kitted out in this outfit. We’re really sorry about the pose. What you need to know is that these are mid-weight shorts with a four way stretch crotch. Actually, you probably don’t want to think about that either. 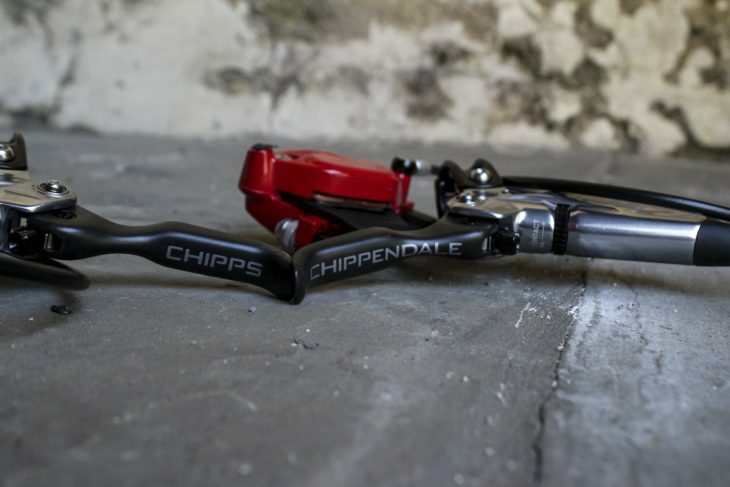 Er, the gloves are a nice lightweight fabric to give you a great feel…help…um…the jersey, yes, the jersey, it’s short sleeved with a dropped tail (which anyone behind Chipps will be glad of), and mesh under arm vents (which Chipps will be needing when he’s looking this HOT). Take me to your guitarz. These come with this mirrored lens and also a clear colourless one for dull wet days. Designed to give plenty of ventilation, tons of peripheral vision, and fit snugly to your head, these are some huge glasses that give you tons of coverage and protection. Don’t worry if your nose isn’t huge though, as there are also two different sized nose pieces so you can make sure they sit just where you want them. Is that XX1 or a plait pattern? By the way, thanks to Aran for taking lots of pics this week and last week. Doubles up as an abacus. …this! 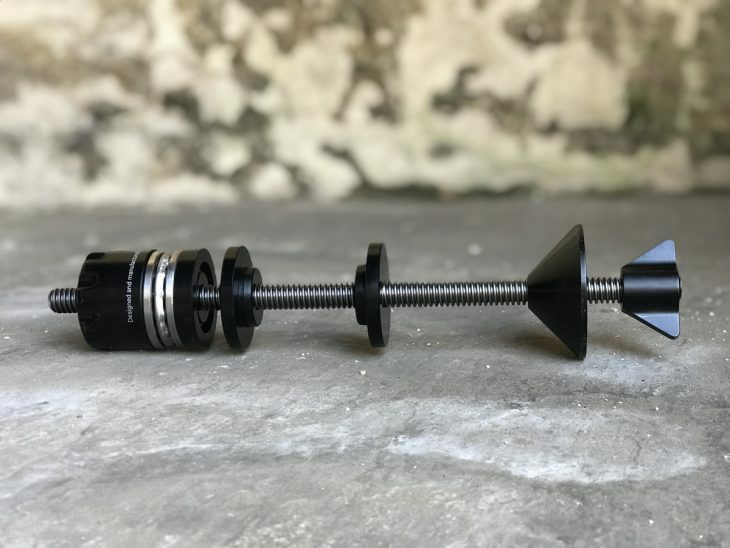 It’s a new tool for fitting the new Dub bottom brackets – or other bottom brackets too. It’s really rather nice to play with too – kind of compelling, like those bead and wire toys you see in every doctor’s waiting room, only this has fewer scary germs on it. Extra long lever for the surname? ‘Hannah Dobson’ would have looked so much better and balanced. Not in dungarees, for a change. In fact Hannah and Amanda are perfectly happy, because although this kit doesn’t have their names on, it is for them. 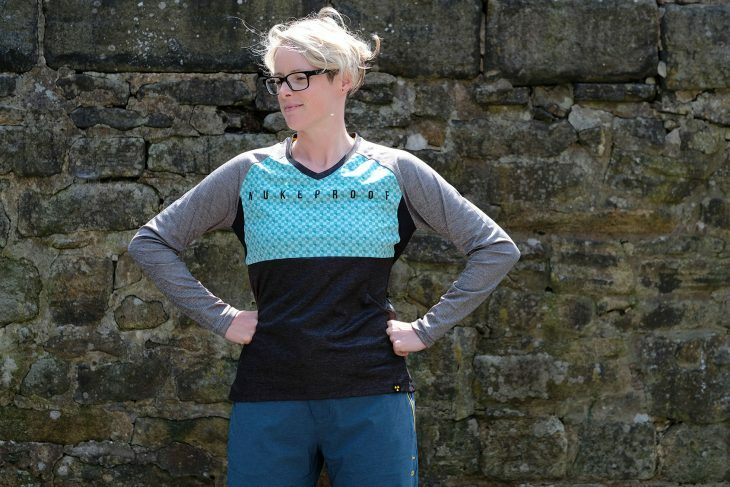 The Blackline range comes in short and long sleeves in a select of colour blocks and patterns. The jerseys have a neat little zippered pocket to the rear, while the shorts are a nice tough but light fabric that will surely be great for summer riding. The shorts come in blue or black, and there are a selection of yellow, blue and turquoise jerseys to mix and match to them. 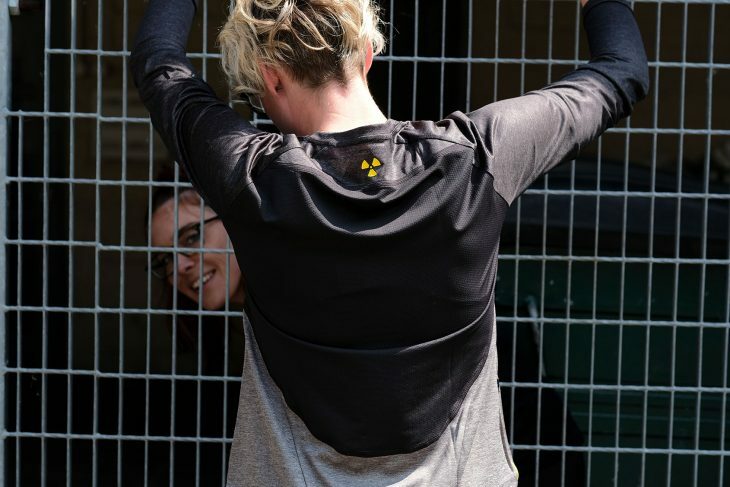 The mesh rear panel means that Hannah doesn’t smell, but Amanda thought she’d best check. Hands on hips, but she’s smiling…is she cross or not? Also available in less understated designs, and women’s specific cut. With room for 3 litres of water and another 7 litres of sandwiches, this pack will suit many a ride. 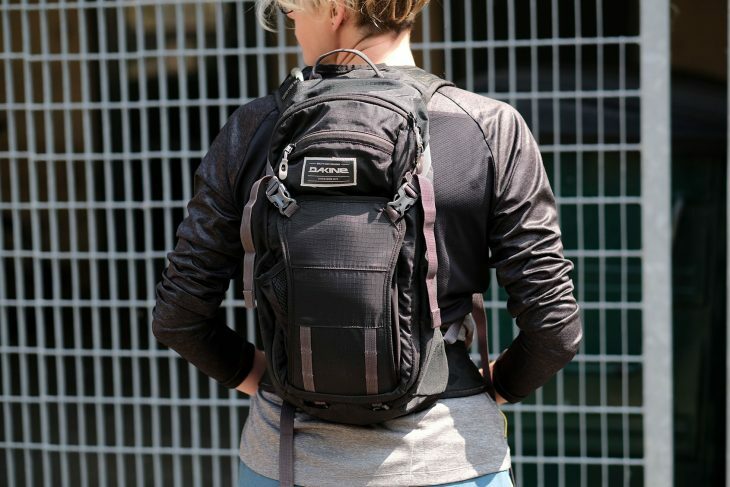 It also has room to carry a full face helmet, and the ‘Air Suspension’ back panel construction and breathable shoulder straps are designed to stop your back from getting too hot, by holding the pack away from you. Balloon will be responsibly disposed of. This box is to celebrate is a new sealant from Muc Off, coming complete with UV light so you can check for leaks (just like you can check for lube distribution with their lubes). The smaller 140ml pouch fits straight over your valve (once you’ve removed the core) for quick no-mess refilling. 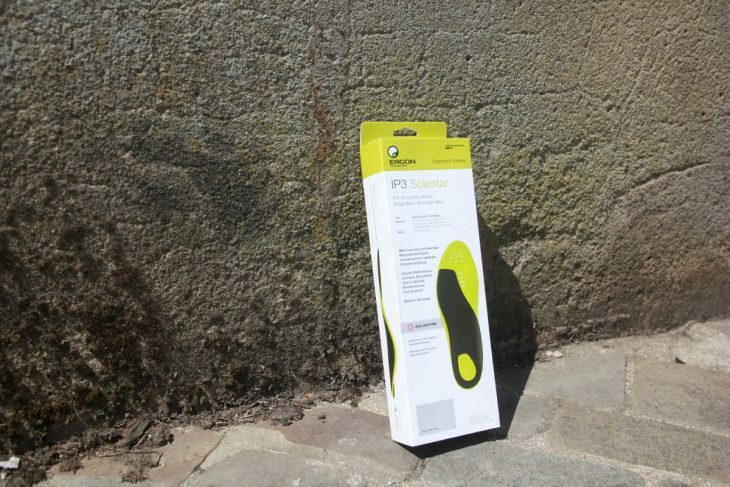 We confess a weakness for handy looking things in small packages. 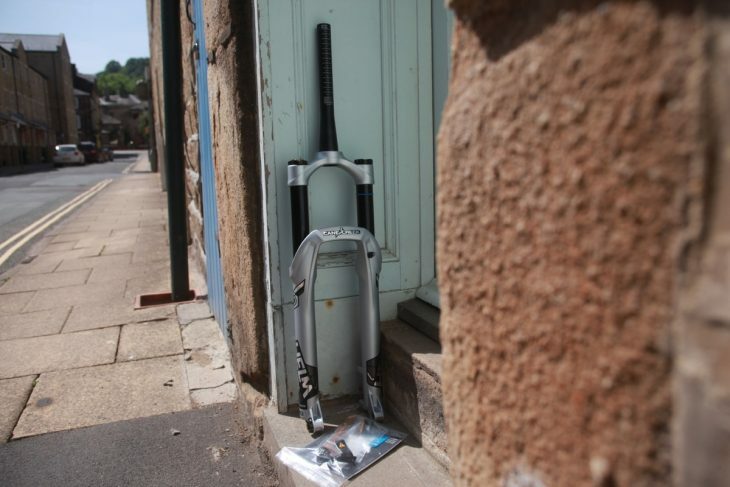 It’s a chainsaw! 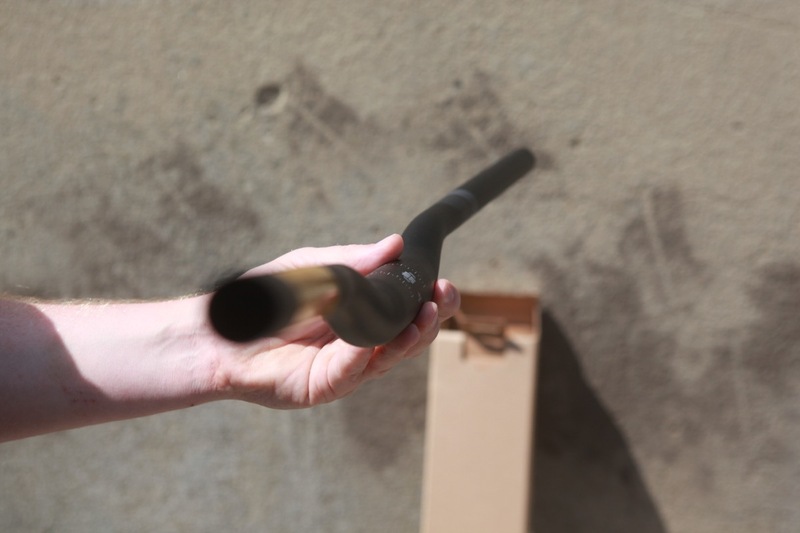 Tackle those post-gale trail blockages, maybe haul in some wood for an emergency fire, or even at a real push perhaps use it to chop up a moose or elk to ensure your survival after you pedalled just a bit too far. 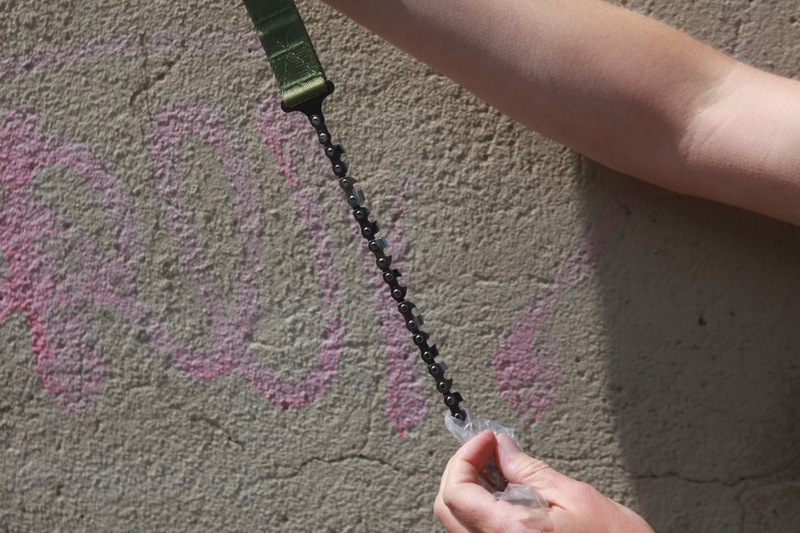 Hold the loops at either ends (not the chain – doh) and get chopping. Cooked moose tastes better than raw moose, so if you’re lost in the wild you’re going to want a stove. This teeny tiny number fits straight onto the top of a squat-type gas canister for wilderness cooking. Once you’re done, it all folds up nice and small into its own little pouch, about half the size of your fist. This spoon is designed to be sturdy and used in many scenarios, with its silicone outer coating making it handy for scraping the vital last scraps of moose stew from your pan. 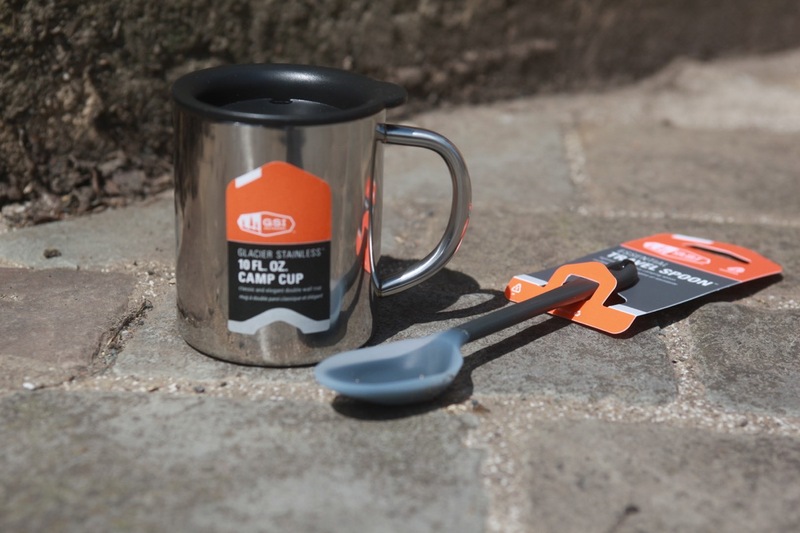 Or indeed from your camp cup, which has a sip lid to stop you spilling all over yourself if you’re trying to multitask tea drinking with moose meat chainsawing. It also has double wall insulation, so you could always put your cup down for a bit and your drink will still be warm after you’ve cut that steak. A whole pile of want right there. 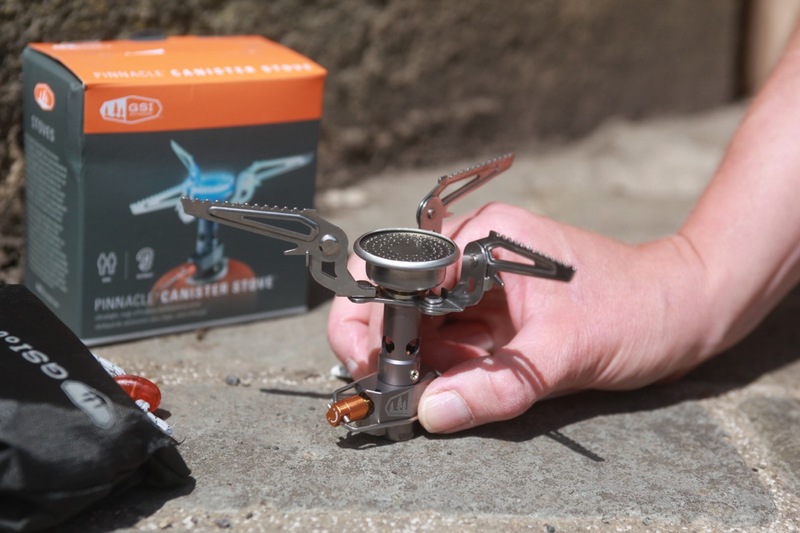 If you find yourself lucky/unlucky enough to be browsing through the GSI range, you’re going to find a whole pile of camp related stuff to want (portable knife and kitchen sets have Hannah all excited). 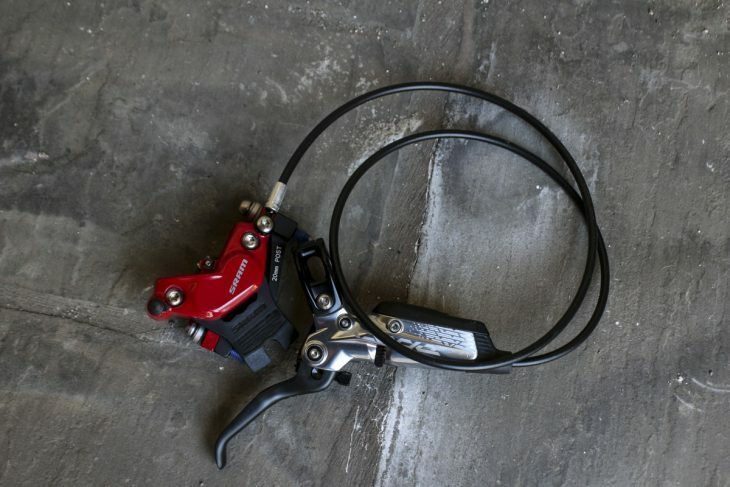 This little gadget is definitely in the Want category. Coming in a neat little zipper case with moulded internals to keep the contents still, this is a one cup espresso maker (larger versions are available for the more sociable). 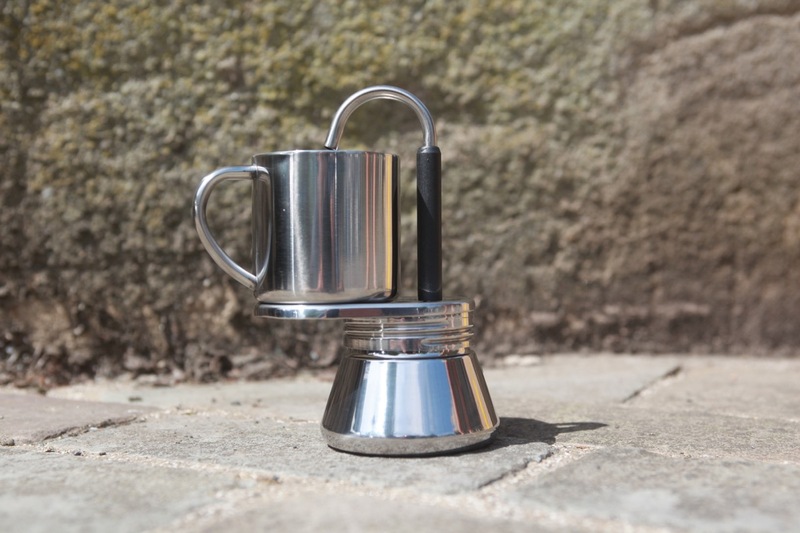 Espresso, wherever, whenever…life just got darned near perfect. And hey, it’s shiny and lovely and comes with a dinky little mug too. We’ll take four. Tubeless. If you’re not doing it, why. 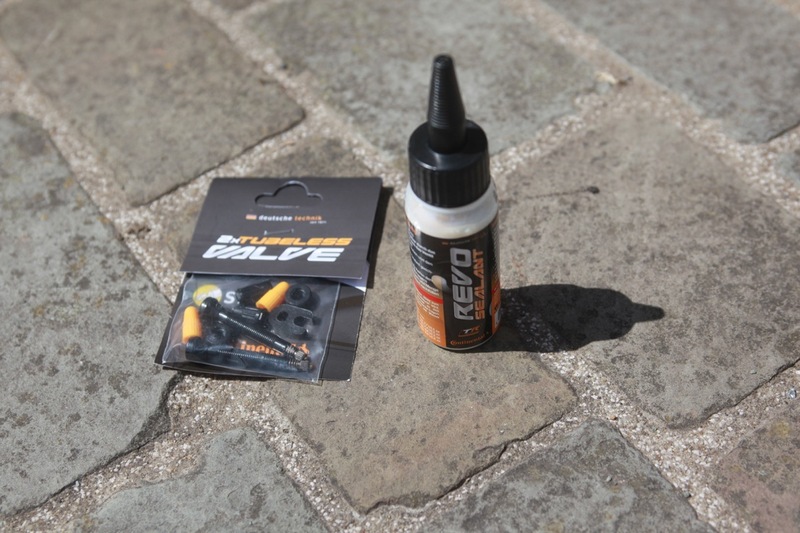 This Revo sealant acts either as a puncture preventative with tubes, or as a tubeless sealant. And if you’re going tubeless, you’re going to need valves. 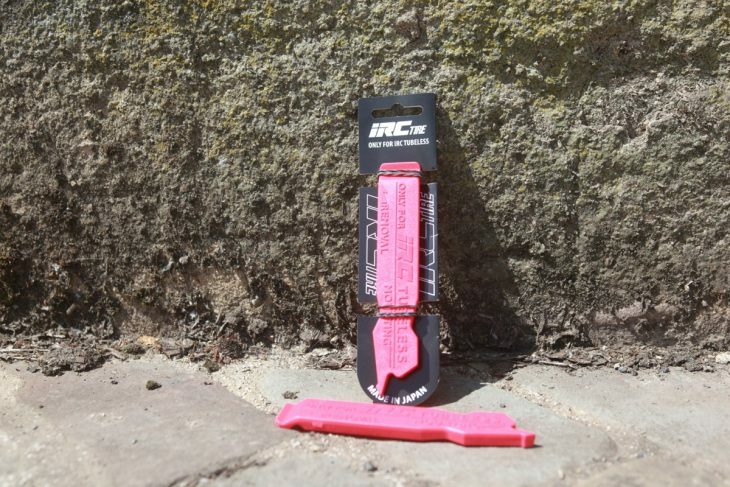 These are specifically for tubeless tyres – designed to not damage the tubeless bead. They’re also super strong for really tough tight tyres. Don’t use them with tubes though as you may damage the tube. Designed specifically for cycling, these are designed to give flexibility where you need it, but also support. Wil has poorly knees and finds these help, so he’s a fan. You probably shouldn’t do this when someone is wearing them. 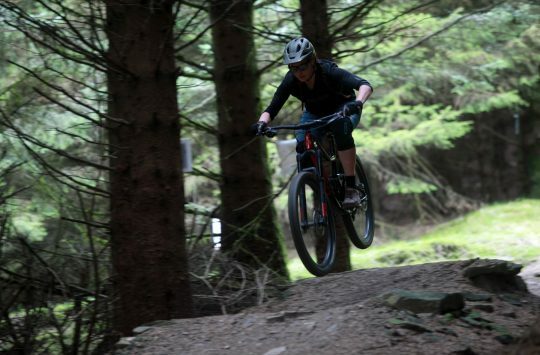 Bib shorts designed to be worn under baggies, with many pockets for stashing things when you’re going #fullenduro and eschewing a riding pack. 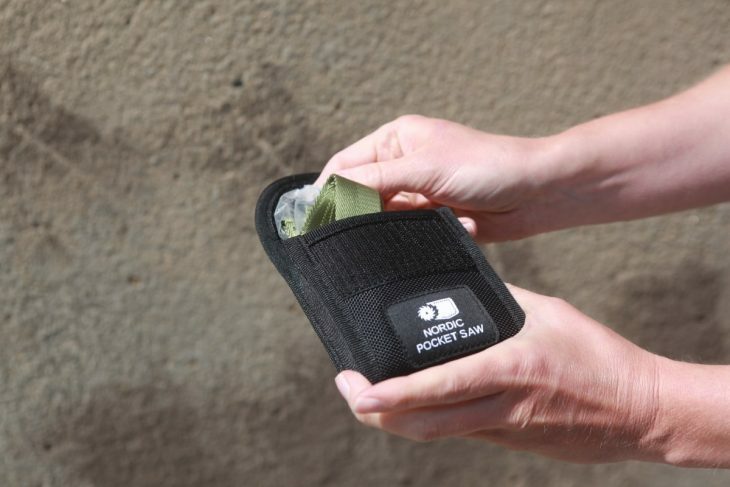 With leg pockets and rear pockets, you’ll not even need a bumbag. Hannah did consider putting these over her dress. We’re going to need a wide angle lens if bars carry on like this. That is not a typo! 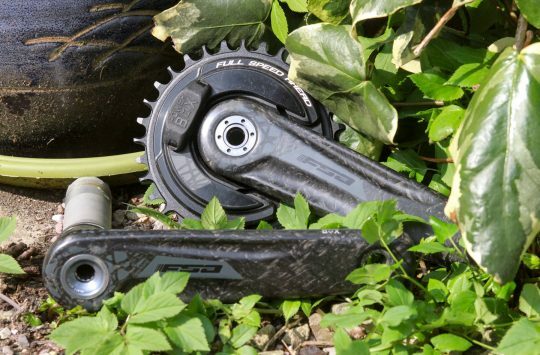 Spank’s new 300g Spike bar is a whopping 820mm wide! That’s 20mm more than an 800mm and 40mm more than 780mm (sorry, any excuse to show off my mental arithmetic). The width alone make the Spike 35 pretty special, but these bars are also filled with Spank’s Vibrocore material too. 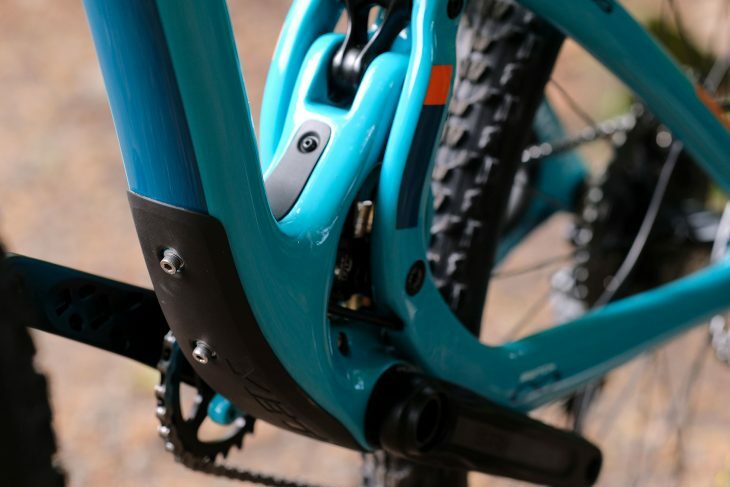 We tested the standard 31.8mm version of these bars a few months ago, but we’re interested to see if Spank has managed to make a 35mm bar that offers the benefit of extra stiffness while retaining the fatigue dampening properties of its foam filling. No Vibrocore, no ooze either. 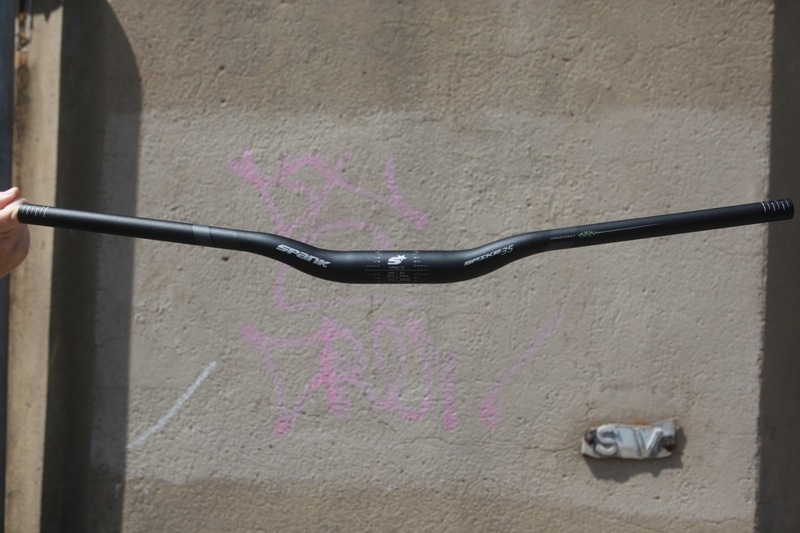 Spank’s Oozy is another 35mm bar option but designed for lighter weight and trail riding. Overall length maxes out at 780mm and these wide diameter bars don’t come filled with Vibrocore, but these differences make for a bar that weighs 270g. Andi just couldn’t resist stroking them. 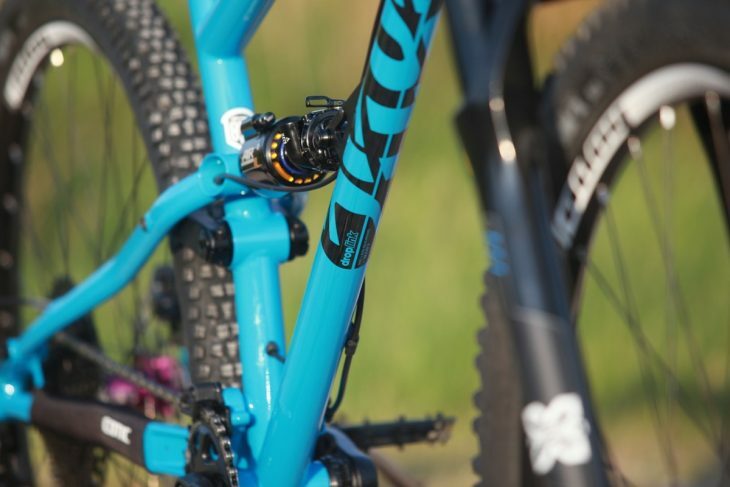 These are the wheels, well not these exact wheels but the same model, that Cecile Ravanel has been dominating the EWS this year. 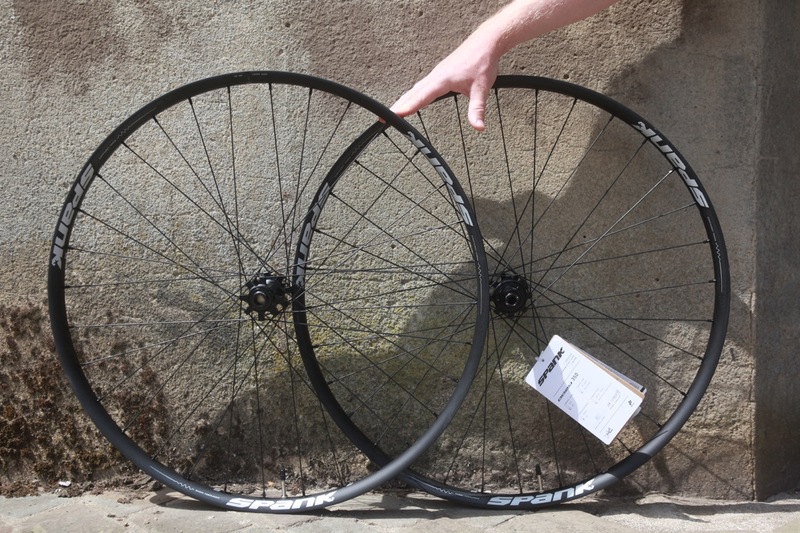 We’ve been sent the 29in Oozy 350 wheelset with Boost spacing and SRAM driver to test. 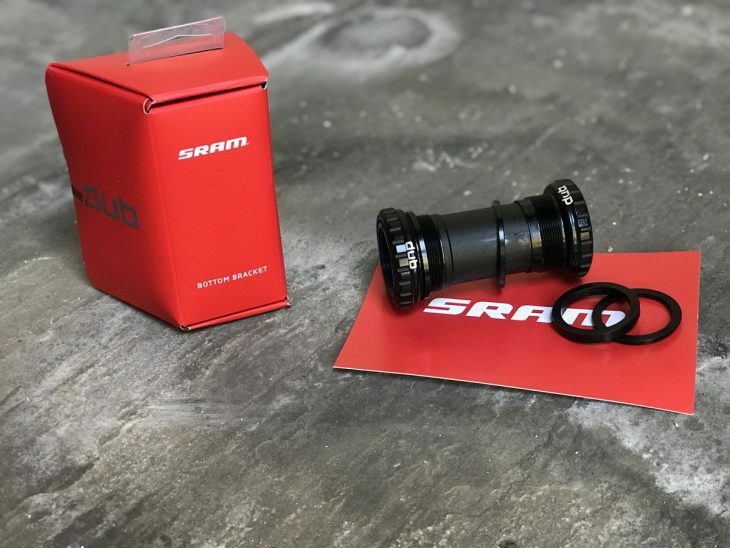 The wheelset features Spank’s own Oozy 35mm laced to Spank hubs via straight pull spokes. Spank supplies each pair with valves and rim tape so you can set them up tubeless right away and each set comes with a build sheet with the name of the builder stamped on. Hannah is actually staring right at you. 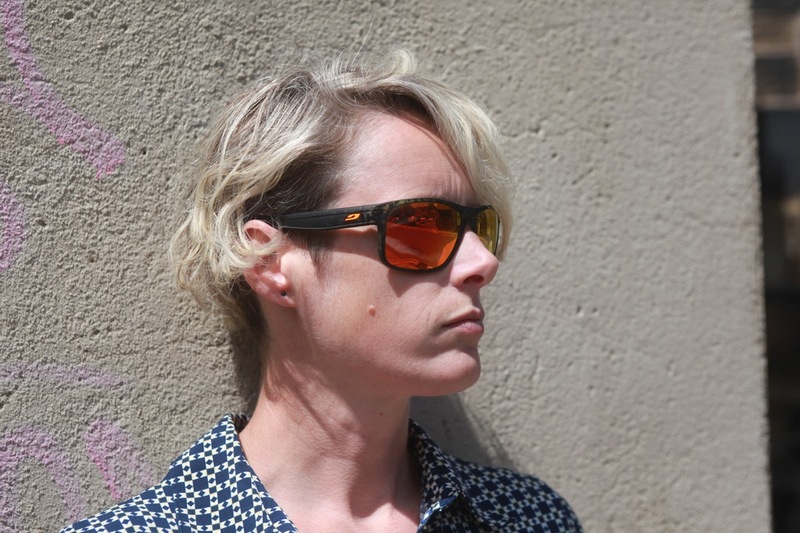 New men’s range sunglasses (though that won’t stop Hannah wearing them) from Julbo, who Hannah visited last year. Incidentally, there’s been a recent merger between the giant frame and lens makers in the optical world, meaning that Julbo is one of a very few independent optical manufacturers left in this world. 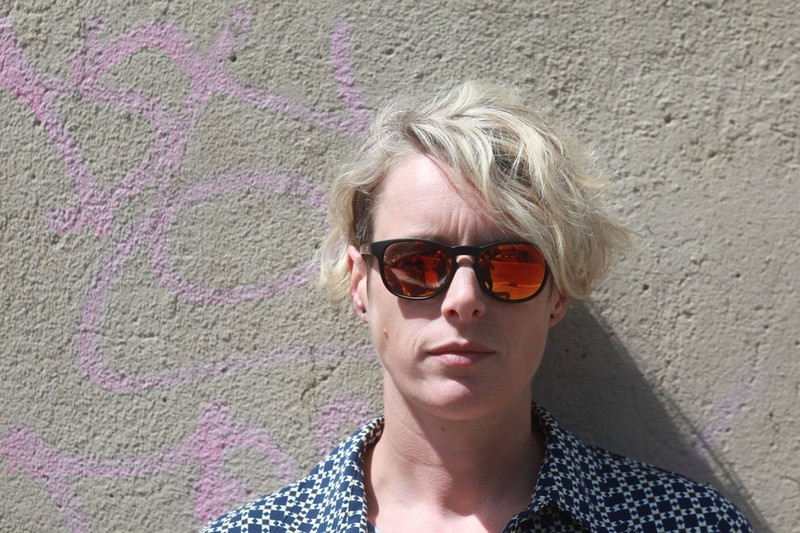 These lenses are photochromic and will react to light in 25 seconds. 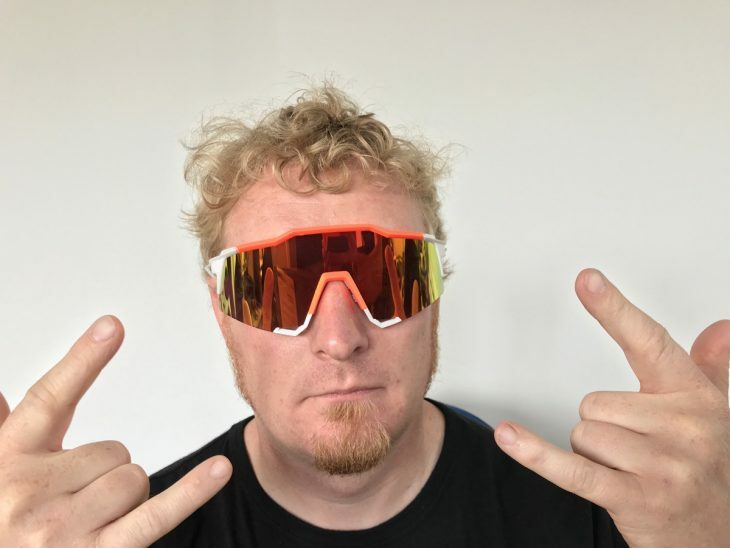 The photochromic element is part of the lens, so you can’t scratch it off, and anyway, the lenses are made from the same stuff as helicopter windshields, so they’re pretty scratch resistant. A women’s specific frame with photochromic lens suitable for overcast to sunny days. The lens colour is designed to help pick out landscape features, and the glasses are designed to be multi purpose across a range of outdoor sports. Hanging out in doorways. What a thug. Coils are back. A nice new plush modern spring gives this an adjustable travel of between 130m and 160mm of travel, but comes set at 150mm from the factory. 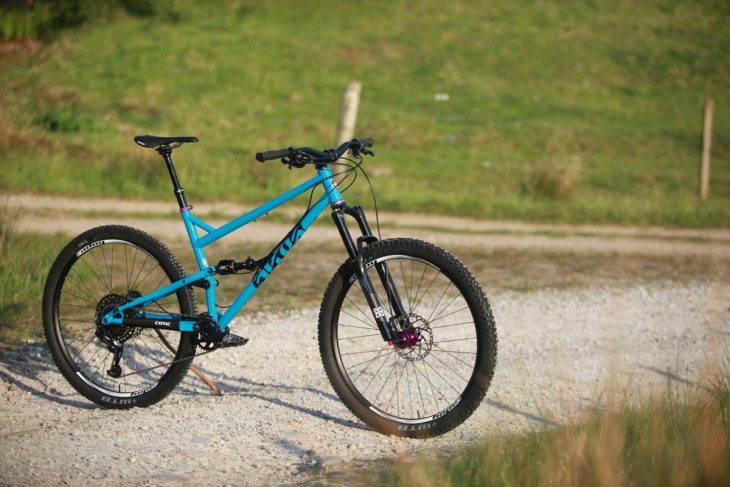 This comes fitted with the Cane Creek ‘D-Loc’ through axle system which is unique to the Helm range. From this distance, it almost looks small. This is the new 2018 model in huge XL James size. He’s previously tested the previous model and is looking forward to getting loose on this new arrival. It’s approximately a ‘Gold Eagle’ build, but with a a McQueen fork instead of a Helm 29, plus a few other touches like the purple bits. 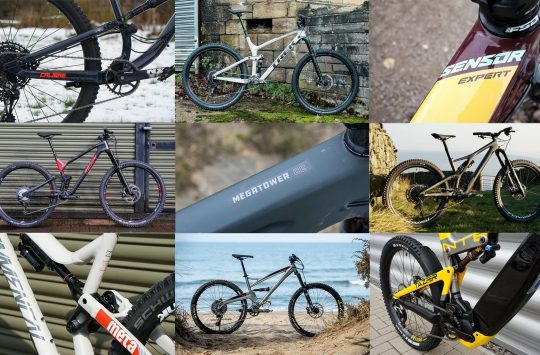 You can pick and mix your build according to just what you want. Right, that’s probably enough freshness for one week. Or two weeks. Or whatever. Anyway, that is a lot of product. It should keep you busy until it’s time to leave the office and head for those dusty hills. Oh yeah. We’re happy. 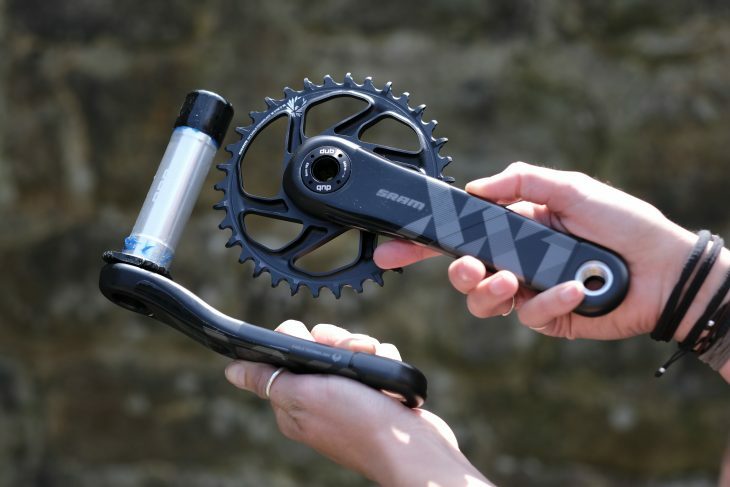 The SRAM Dub XX1 Crankset look nice but at £510-£520 for a pair + the cost of a SRAM Dub BB, who will be buying them? 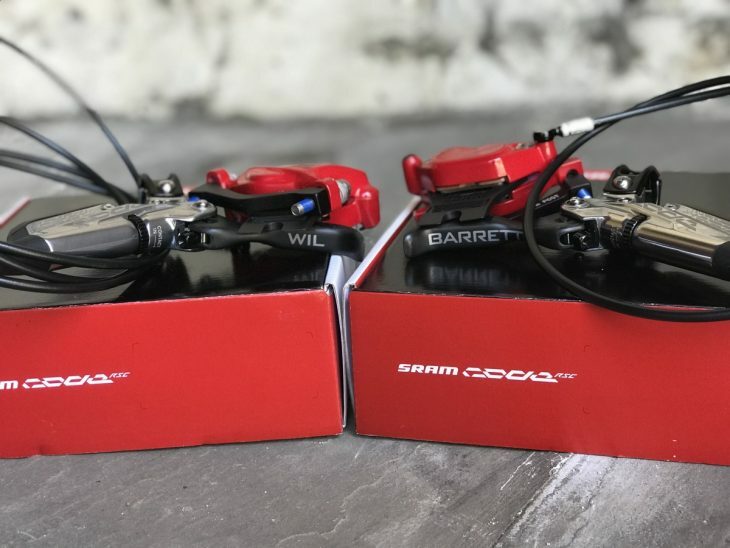 SRAMs BB’s have never been great for reliability in the UK conditions (specifically Dartmoor) despite the relatively cheap cost. Thank god you’re back! Just enjoyed reading alongside my three bean salad. For gods sake stop listen to the today program. It is not a news program any more, just a Tory mouthpiece. Enjoying Fresh Goods Friday live – genuinely funny. Looking forward to next week’s.